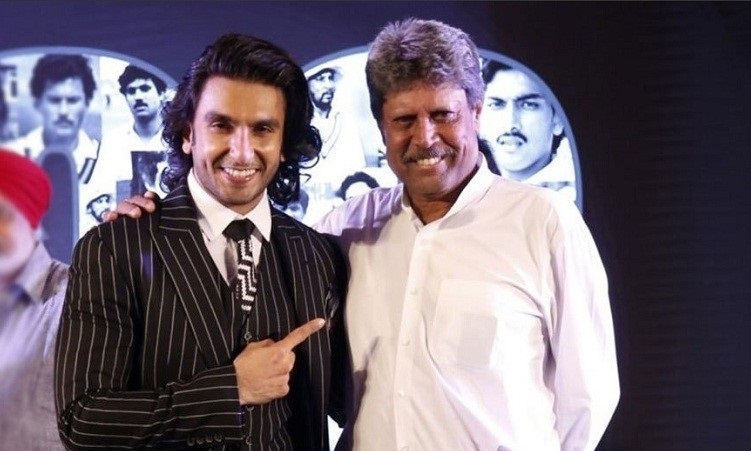 Ranveer Singh is set to play Kapil Dev in his next titled 83, a film that shows the journey of Kapil and his team from being a bunch of nobodies to a team that won the cricket World Cup. Kapil led from the front and galvanised the entire team that eventually become world beaters. Immediately after Gully Boy, Ranveer will start his intense preparation and training for 83 that will see him transform into becoming Kapil, whose unique bowling style mesmerized the world and bamboozled the batsmen. His lethal bowling was a terror for the opposition and Ranveer will head to Punjab to spend time with Kapil to absorb as much from the legend. "I am looking forward to spending time with Kapil Sir. I feel like that time spent would be integral to my process of transforming myself into him. I want to absorb as much as I can from him. His story, his experiences, his thoughts, feelings, his expressions, his energy," says Ranveer. Ranveer will apparently spend a good 3 weeks with Kapil. "I'm keen on getting tips on my bowling and batting from the Man Himself. His achievements are extraordinary. He is the quintessential underdog who became a champion through perseverance, self-belief, hard-work and a positive mindset. I am extremely inspired by Him. I want to pour myself fully into this exciting character." 83 is being directed by Kabir Khan.